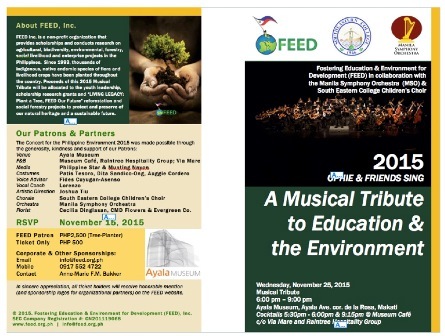 Why you should go: FEED Inc. partners with the Manila Symphony Orchestra and South Eastern College for a concert that raises the significance and impact of environmental preservation and conservation efforts. All proceeds will go to FEED’s sustainability mission, including tree-planting programs, education, research and livelihood projects in the fields of agriculture, environmental sciences, and forestry. Other details: Concert starts at 6 p.m. Tickets range from P512.50 to P2,612.50, available at TicketWorld online. Why you should go: OPM is dead? Of course not! It’s alive and kicking and this gig is just a testament to its vitality. Listen to original music by Two Nickel Dime, Keiko Necesario, Jai Barrientos, and Anahata. Why you should go: Start a new Friday night habit at M Café. 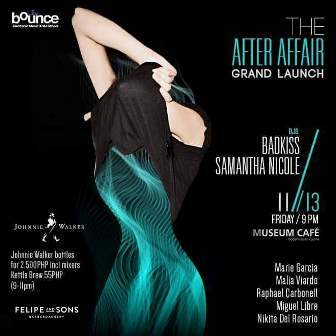 Indulge in a night of soul-penetrating beats and deep rhythm featuring DJs Badkiss and Samantha Nicole. From 9 p.m. to 11 p.m. you can avail of their drink promos: get two Brew Kettle Beers for P110 and a Johnnie Walker Black Label for P2,500. Other details: Party starts at 9 p.m. For inquiries and reservations, contact 757-3000. 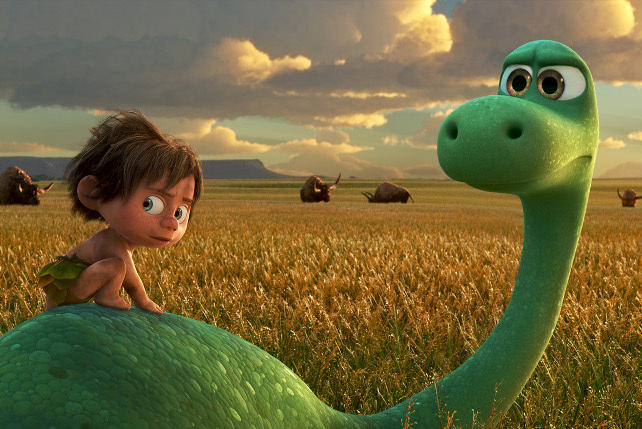 Why you should go: Prepare to take flight this Friday! Be on board when 12 DJs and three MCs gather to party in one night at Paradis. Other details: Be there by 10 p.m. For tickets and table inquiries, contact 0917-860-4929. 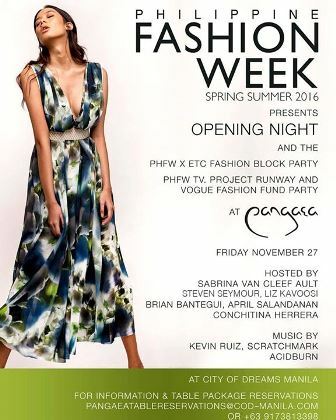 Why you should go: It's Philippine Fashion Week and Pangaea is hosting the official party! Join them on Friday and take pride in local artistry at a fashionable ultra lounge in Manila. 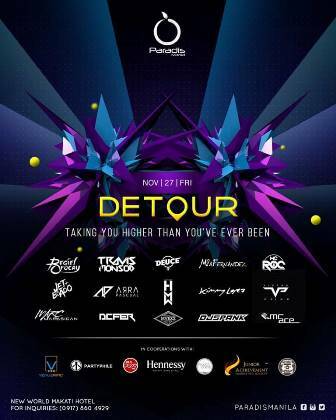 Other details: Be there by 11 p.m. For VIP reservations, contact 0917-381-3398 or e-mail PangaeaTableReservations@cod-manila.com. 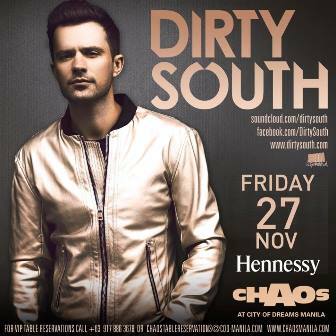 Why you should go: Chaos Manila together with Hennessy brings you Dirty South so you can end your November with a bang. Other details: For tickets, log on to www.smtickets.com or call 470-2222. For VIP reservations, contact 0917-886-3678 or e-mail ChaosTableReservations@cod-manila.com. 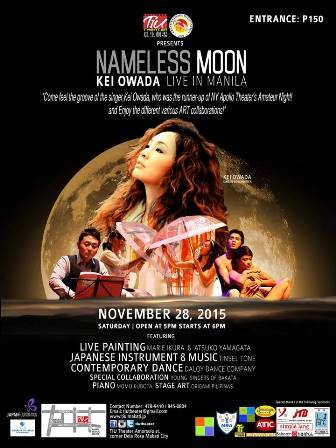 Why you should go: Watch the performance of Kei Owada, acclaimed singer-songwriter and multi-instrumentalist from Japan. There will also be a live painting session by Marie Ikura and Atsuko Yamagata, a showcase of Japanese instruments and music by Tinsel Tone, a contemporary dance by Daloy Dance Company, a special collaboration by BAKATA, a piano performance by Momo Kubota, and stage art by Origami Philippines. Other details: Gates open at 5 p.m. Tickets are P150 per person. Why you should go: Jeremy, a talented producer from Stockholm, will be in Manila to take over Black Market’s Riot House with the help of subMNL. Other party crashers include Mikail, Shmacks (Gammaton, Seaweed Records), Abdel Aziz in the Main Room, and Argem Vinuya & J.A. Tadena, Mike Bolante (Incognito), Mamasun & Mulan (Black Market), and Jessica Milner in the Mao Den. Other details: Party starts at 10 p.m. Free entrance! 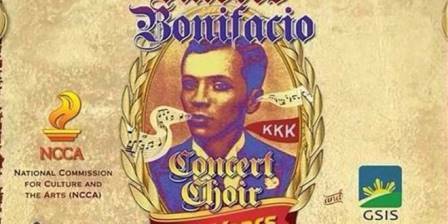 Why you should go: To celebrate our national hero Andres Bonifacio’s 152nd birth anniversary, Manila Symphony Orchestra and the Andres Boni­facio Concert Choir, led by composer Jerry Dadap, is presenting a free con­cert on the eve of our proletariat hero's birthday. Other details: Event starts at 6 p.m. Admission is free! Why you should go: AlDub fans, you made this happen! 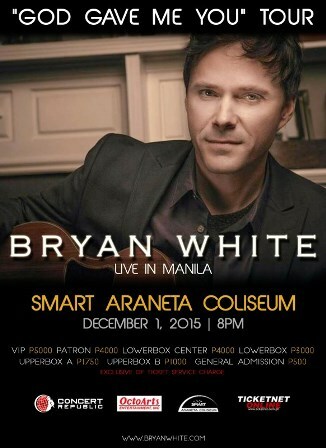 Grammy award-winning singer Bryan White will be dropping by Manila as part of his "God Gave Me You" tour. 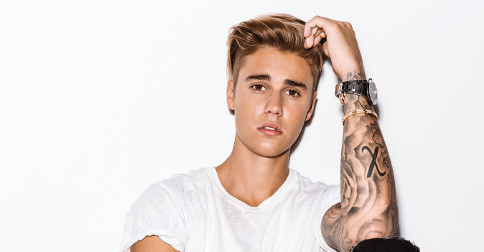 Listen to him perform his other country hits live, such as "I’m Not Supposed To Love You Anymore," "Someone Else’s Star," "You’re Still Beautiful to Me," and more. Other details: Concert starts at 8 p.m. Tickets range from P500 to P5,000, available at TicketNet online.